I don't see how those documents are First Amendment protected. They are not trade secrets, nor attorney-client privileged, nor doctor-patient, confessioner-priest, or any of the other protected classes of communication I'm aware of. Perhaps this is one I've never heard of ... but then apparently never has Judge Walker or, in fact, any of the Prop 8 defendants ... or they could simply assert it by name. It seems to be a new privilege they want to establish. And though I can see the advantage of being able to speak freely in a campaign context, I see quite a danger in being able to speak free of all consequences. Free speech in this country does NOT relieve you of the consequences of that speech. 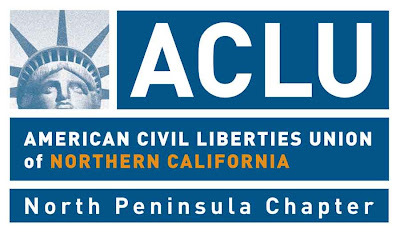 With some thought given to the matter by yours truly, I come down opposite the ACLU on this one. "Free speech in this country does NOT relieve you of the consequences of that speech." Funny you should say this, because I've said it, too. And thank you for reminding me of this truth. This is one of those times I really want to hear from my readers to see what they think. So thanks.